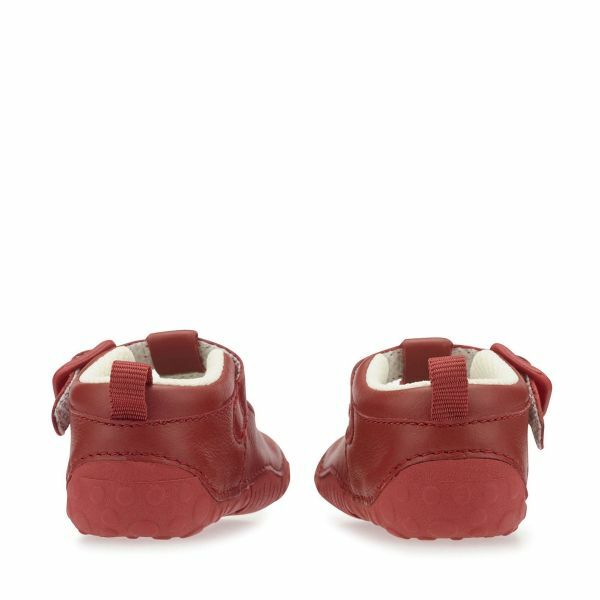 Our iconic Baby Jack fits snug to the squarest and chubbiest of feet. 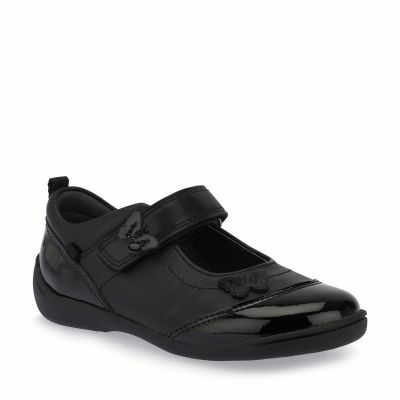 In a classic t-bar design with buckle for secure fastening. 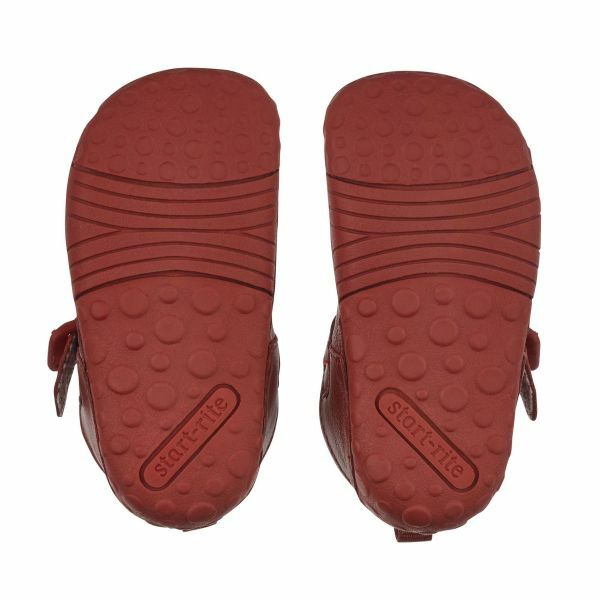 Multi-width and half size fittings to give a precision fit. 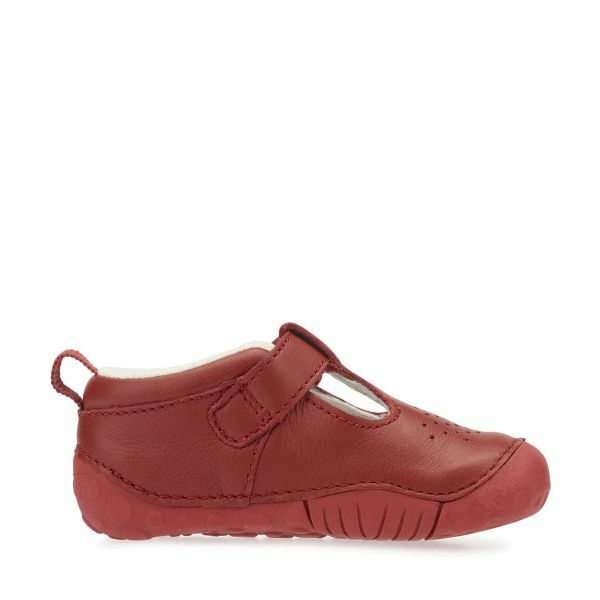 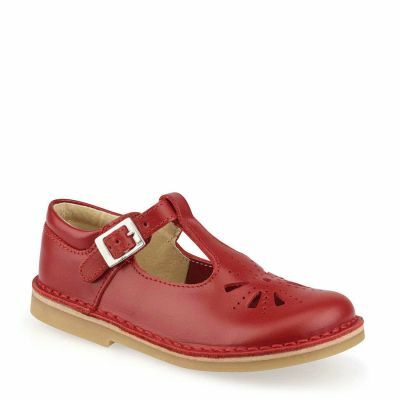 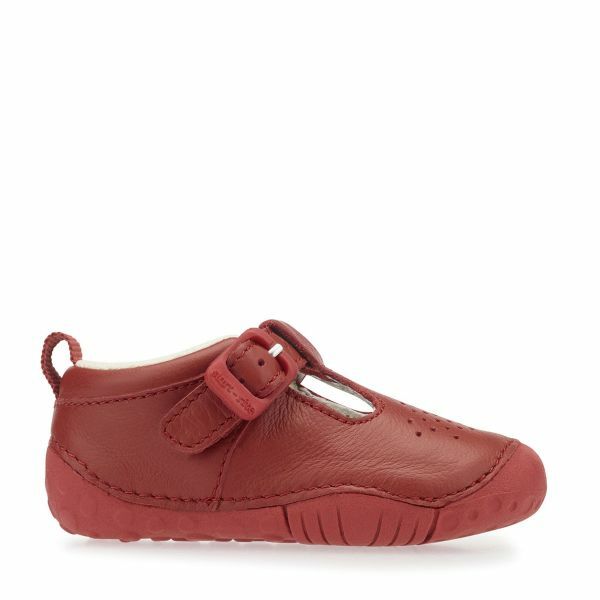 Delicate feet feel pampered in supple red leather upper and cushioned insole. 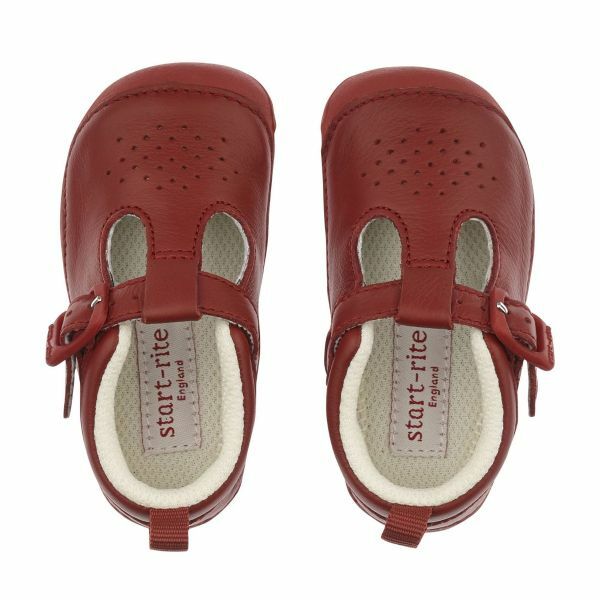 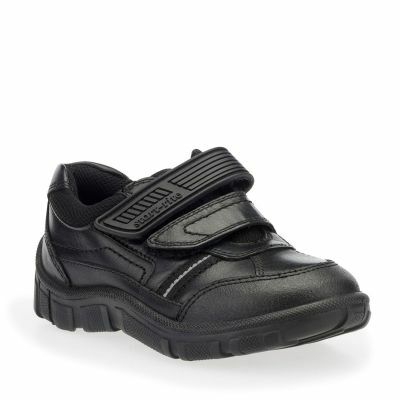 Our lightweight soles are designed for maximum flexibility and sensory feedback, perfect for pre-walkers’ needs.